For anyone who can remember the infectious late 90s Beenie Man hit “Who Am I,” which peaked at number 40 on the U.S. Billboard Hot 100 list and number 10 on the U.K. Singles chart, that was one of the deals that brought the success of the 40-year old, Jamaican-owned, VP Records to higher heights. Another, was a deal that VP made with Atlantic Records in 2002 to sign chart-topping reggae artist Sean Paul, known for a slew of hits including Gimme the Light as well as Baby Boy, a duet with 22-time Grammy-award winning artist Beyonce. Those crossover hits helped cement the company’s place in reggae music history throughout the U.S.; Toronto, Canada; and London, England, after landing in Jamaica, Queens in the late 70s just in time for the reggae and dancehall music explosion that spread throughout Brooklyn, Queens and the Bronx in the 80s and 90s. It all began with Vincent and Patricia Chin in a tiny store in downtown Kingston in 1958 that, together, they grew into an outfit that distributed records to other record stores; later, a recording studio in Kingston called Studio 17; then to a small records store in Queens that expanded to buying and selling records from Kingston and distributing them in New York; and, ultimately, to a full-fledged record label that signed artists, licensed records, pressed records and promoted them in the US. The company has since expanded throughout the U.S. 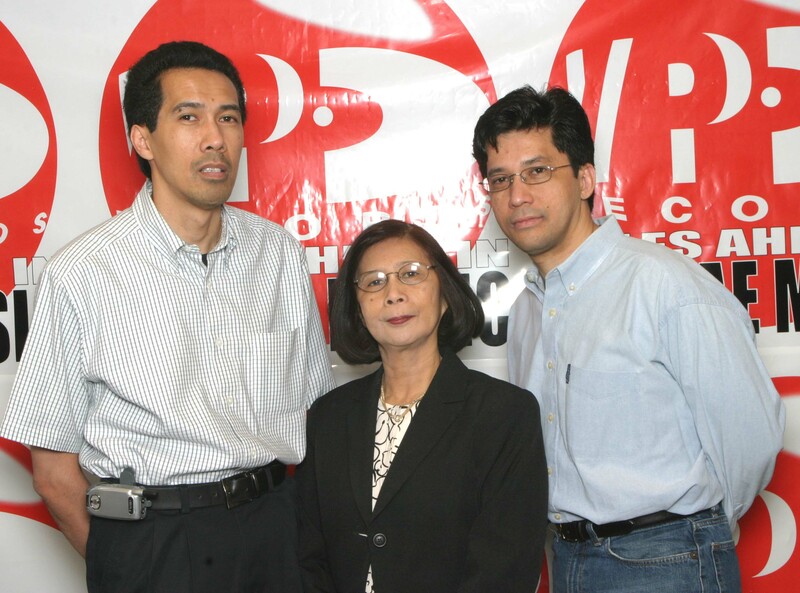 The company’s patriarch has since passed away, but VP is now run by sons Randy Chin, who manages marketing and distribution and Chris Chin, who manages the creative side, after their mother Patricia had led for years. “My dad worked at a company collecting the money out of juke boxes, and came to realize a demand for these 7-inch records that came out of the boxes. So he started a business selling used records in Jamaica,” Randy Chin recalls in an interview with TNJ.com. Fast forward to that first big score via Beenie Man, which Chin says “changed the trajectory of the company,” and the rest is reggae music history. With offices in NY, Miami, Kingston, the U.K., Brazil, Tokyo and South Africa, the company, who has signed a mix of current and legacy reggae artists to the label such as Beres Hammond, Queen Ifrica and Christopher Martin, is proud to be celebrating 40 years in business. The secret to their success? “My parents are definitely entrepreneurs in every sense of the word; they are very dogged in their determination to be successful,” Chin shares. In addition to their entrepreneurial spirit, he also attributes the company’s success to its “talented and loyal employees” and the artist community. “Reggae is a prolific genre; so much has come out of it over the years,” he says. As for challenges and highlights that go along with marketing reggae music on a global scale, Chin says there are a few. “As things have gone from selling physical products such as CDs and LPs and transitioning to downloads and now streaming, the music industry, in general, and certainly reggae in particular has been globalized. That offers a huge opportunity to get reggae music into places we would have never been able to before. For example, Latin America is a huge territory for us now; in the past, it wasn’t. Africa and Southeast Asia are opening up; so it has definitely opened up the genres in other places,” he notes. For this year’s 40th anniversary celebration, there are a few events planned over the next couple of months including The Reggae Trail, an interactive digital experience that features a map of historical locations throughout the five boroughs of NYC central to the growth of Jamaica’s music; and a Record Store Day in April to commemorate the annual celebration if vinyl culture. More information on the events can be found on the company’s website.